The holiday season is here! Schools are breaking up for Christmas and we’re all getting ready for visits to family and friends over the next few weeks. If you’ve had a busy year, then it’s likely that your car has too and could be in need of a little attention before you take to the road this summer. Here at Cooper Automotive we’ve put together some top tips that will help keep you and your family safe on the roads. An under-inflated, over-inflated, worn down or misaligned tyre can be extremely dangerous, particularly in hot summer weather. While many of us regularly clean the outside body of our cars on a weekend it's also important to clean the undercarriage of the car. If you’ve been on rural or unsealed roads that get a bit muddy with rain you can be sure that dirt will have accumulated underneath. You can clean the undercarriage yourself using a plain water hose or high-pressure cleaning system. 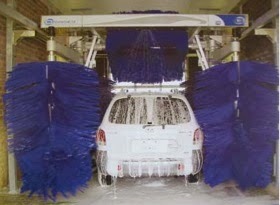 Many professional car washes and detailing services can also perform a high-pressure steam clean that reaches underneath. It's important in summer to keep the engine cool, so you’ll need to check the hoses and belts. The hoses connected to the radiator help pump coolant to and from the engine block, and the belts run the fan that helps cool the system further. 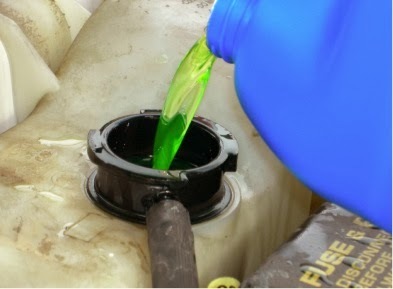 If the hoses crack or the belts snap, the radiator will quickly overheat, leaving you stranded. If you'd like your car professionally checked over before Christmas just give us a call on 1300 15 15 55 to book in at any of our service centres.